Buckle Size: 3. 7 " x 2. 8" Fits in 1-1/2" (38mm) belt strap. 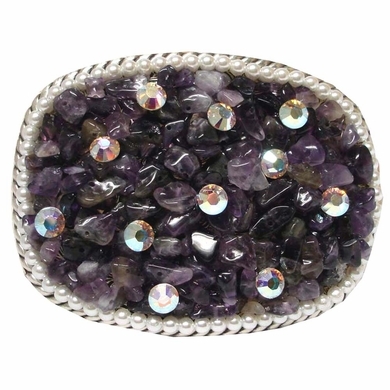 Amethyst Stones with Swarovski Crystal all over.